Welcome to the January 2018 edition of the PXI Newsletter. 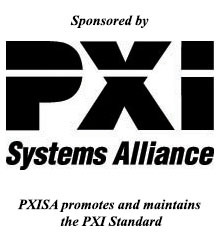 Our intent is to educate and inform you about how the PXI standard is being used in modular test systems for a wide variety of industries. The design and development of automated test equipment (ATE) presents a host of challenges, from initial planning through hardware and software development to final integration. At each stage of the process, changes become more difficult and costly to implement. Furthermore, because software typically follows hardware in the development cycle, many open-ended items are left for the software engineer to handle. Good planning goes a long way toward mitigating familiar risk, but it can’t prevent every problem, especially in a fast-paced test development cycle where many issues arise at final integration. The idea that the software is more malleable than hardware, results in the phrase “just fix it in software!” However, hardware and software are tightly coupled and most issues typically require updates to both. This doesn’t stop with the initial deployment, but continues for the system’s life cycle. Wireless communication systems and aerospace & defense technologies use multi-antenna techniques including MIMO (Multiple Input, Multiple Output), beamforming and phased array radar. These techniques help to achieve higher data rates with improved spectral efficiency, signal quality and cell coverage by using multiple channels. A great deal of engineering and design work is required to ensure the final solution provides synchronization between the channels. This article describes the challenges and solutions of RF multi-instrument synchronization. The number of antennas used in wireless communications continues to grow to address the ever-increasing demands for higher data rates. Multi-antenna systems increase in complexity as antennas are added and new test strategies are required to fully test the evolving designs. The IEEE WLAN 802.11ax wireless technology is a good example, now requiring up to 8x8 MIMO configurations. A high-priority, during development of these new systems, is to ensure the synchronization between channels as signals are generated and analyzed. Instrumentation features such as the sampling clock and event triggers play a key role in achieving instrument synchronization. A sample clock, is used to provide a common reference frequency for signal generating or analyzing instruments, such as arbitrary waveform generators or waveform analyzers, and ensure the sample clock of each instrument is aligned, resulting in aligned generation/analysis of signals. Improve noise floor measurements with the M9379A RF Amp module’s two amplifiers, RF switches and a programmable step attenuator, when using with the M9485A PXIe multiport vector network analyzer (VNA).